Buff and Shine Microfiber Cutting & Finishing Pads are precision engineered in the United States with the highest quality microfiber and foam materials for maximum durability and performance on both rotary and dual action polishers. Buff and Shine Microfiber Cutting & Finishing Pads feature a beveled edge for FAST and EASY pad centering. 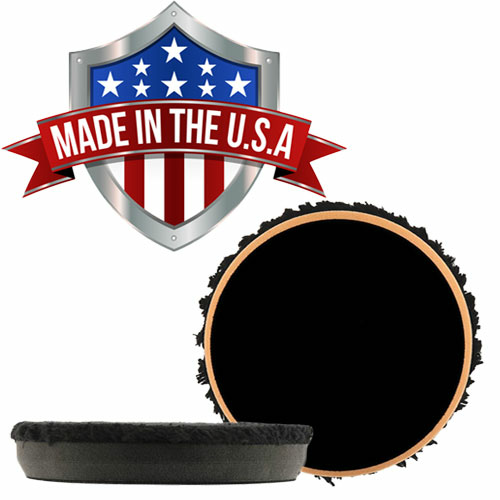 The Buff and Shine Microfiber Cutting Pad features a black microfiber on a firm orange foam and was designed to remove heavy swirl marks, scratches and oxidation. 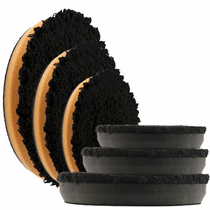 For your polishing and finishing needs use the Buff and Shine Microfiber Finishing Pad featuring plush black microfiber on black softer foam.